Meghan McCain has criticized Ivanka Trump for "lying on air" after Ivanka claimed that Trump had "no involvement" in getting Jared Kushner his security clearance. In an interview with Abby Huntsman on ABC News in February, Ivanka said that President Trump "had no involvement pertaining to my clearance or my husband’s clearance, zero". 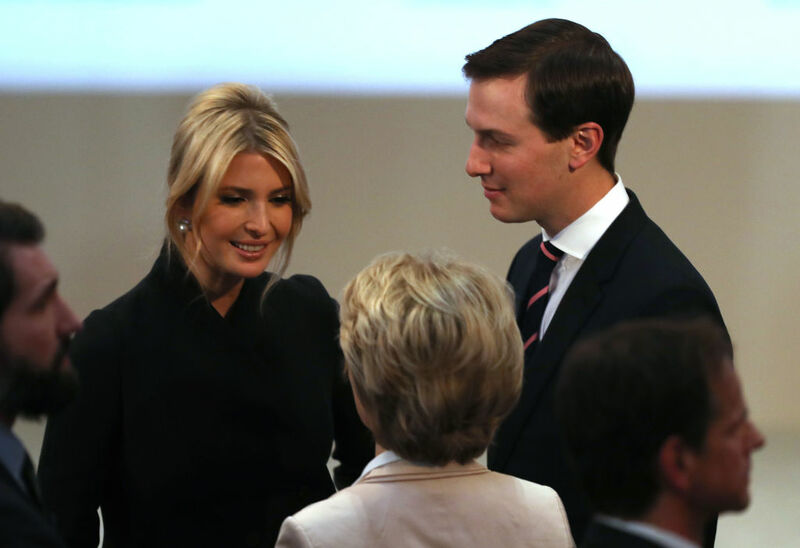 However, Ivanka's statements were contradicted in a New York Times article published last week that cited official White House sources who claimed that President Donald Trump "ordered his chief of staff to grant his son-in-law and senior adviser Jared Kushner a top-secret security clearance last year, overruling concerns flagged by intelligence officials". The latest developments in the ongoing controversy were discussed by the panel on 'The View' on Friday, especially since co-host Abby Huntsman interviewed the First Daughter for ABC just last month. Huntsman had asked Ivanka about her and Kushner's security clearance. Huntsman said on 'The View': "I was, one, shocked that she was willing to answer it. But, two, that she was so clearly [claiming] her father had zero involvement at all. It’s the president putting his own interests above the security of this country when there are some very serious questions." Meghan McCain, who is a co-host on the show, agreed: "Props to Abby for catching her in her first public lie. I mean really, job well done." McCain also called the apparent differences between Ivanka's denial and the report by the Times "the first crack in her veneer". The daughter of John McCain then noted that Ivanka is just as image-conscious as her father, to the point of being "vociferously and intensely" so. She said: "I mean being caught lying on air is a different thing. One of the reasons I don’t like her is I don’t know what she’s saying. To me, there never seems like there’s a real person in there." According to the New York Times report, Trump's move in May last year "so troubled senior administration officials that at least one, the White House chief of staff at the time, John Kelly, wrote a contemporaneous internal memo about how he had been 'ordered' to give Mr. Kushner the top-secret clearance". Kushner, who is a senior aide in the administration like his wife, had an interim clearance in the beginning. A final ruling on the matter was delayed because of a background check that took more than a year to complete. Officials also had numerous issues trying to answer questions about Kushner's international business connections. As described in the report by the Times, Kushner got his top-secret clearance in May last year, which was the same month that the president made the directive. 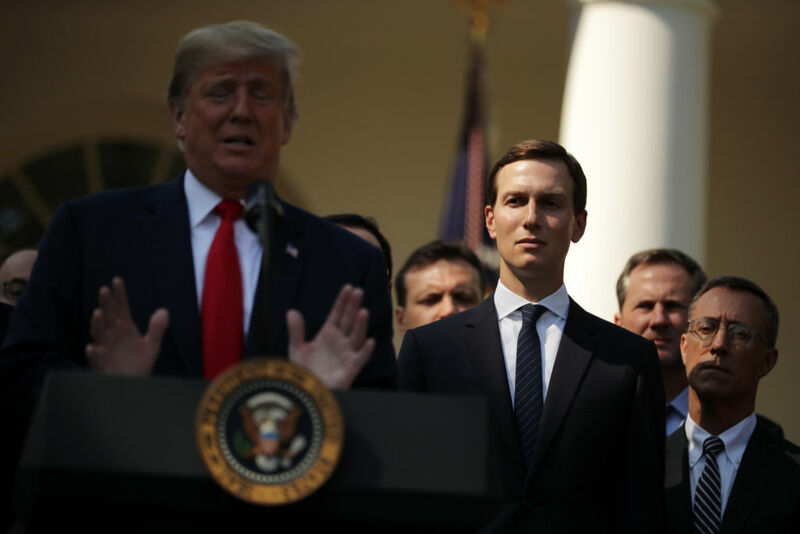 Kushner's pending clearance is being investigated as Trump continues to blur the lines between personal and political matters by employing Ivanka and Kushner at the White House. The President, however, has denied having anything to do with the whole matter. As the report outlined, Trump has the authority to give security clearance to anyone, even though it is not usually done directly as a matter of propriety. Trump told the Times in January: "I was never involved with the security. I know that there were issues back and forth about security for numerous people, actually. But I don’t want to get involved in that stuff." White House Press Secretary Sarah Sanders said in a statement to PEOPLE on March 1: "We don’t comment on security clearances."